Columbus is the capital and largest city of Ohio. 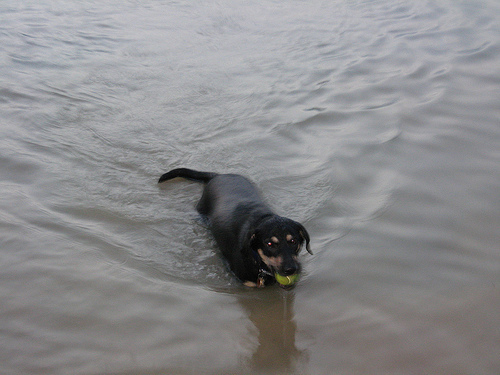 It offers many great dog parks where dogs can go swimming! There are some private clubs and public clubs, and many easily accessible locations. 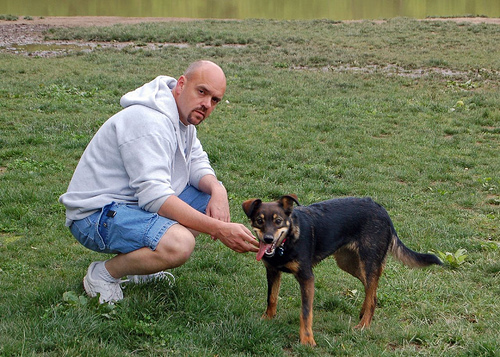 Most dog parks are off-leash. This city was founded in 1812 at the confluence of the Scioto and Olentangy Rivers. It has a humid continental climate with hot summers and cold winters. This park is located in Lewis Center, Ohio. It is a fenced, four-acre, off-leash dog park. It has three separate parts, one for small dogs, one for big dogs and one for water dogs. Keep in mind that the lake closes during the winter, and there are no water spigots, so you must bring water for your dog. This is a three-acre, fenced, off-leash dog park. There is a portable restroom. They have a pond that dogs can swim in during the day, and lights for going to the park at night. There are separate areas for big and small dogs. This dog park is hooked up! This off-leash dog park has an agility course, a two acre swimming pond, 11 acres of running and playing area, wooded trails, doggie daycare and boarding, a free self-serve dog wash area (bring your own towels) and trees for shade. If you go to this park, you area required to bring vaccination records and proof that your dog has been fixed. It costs $365/year, or a $25 visitor pass. This is a new park that opened in May. It has two fences, is off-leash, and about four acres. There are separate big and small dog entrances, as well as drinking water. Located in Delaware, Ohio, this is a private but luxurious dog park. Children must be over 12 to enter this park. Your first visit is free, otherwise it is $18/month, and you must have veterinary records and proof your dog has been fixed. There are six fenced-in acres, that include a two-acre pond, an enclosed, shaded picnic area, areas for agility and one-on-one training, a paw wash and friendly staff. This park is 1.5 acres, and has benches, a path, drinking water and much greenery. It is centrally located in Columbus. Swimming at Big Walnut is closed. Drove all the way out here and found it fenced off with no sign.